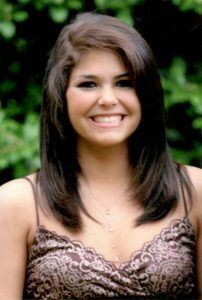 Christin Jean Hayes, 24, of Doolittle Dr., daughter of Chris and Beverly Curry Hayes, died November 8, 2016 at Augusta University Medical Center. Memorial Service will be held Sunday November 13, 2016 at 4 PM at Red Oak Grove Baptist Church. Miss. Hayes was born in Augusta, GA and was a Student. She was Loved by all and is resting in Jesus. Survivors include her parents; 2 brothers; Joshua C. “Josh” Hayes, and Jacob K. Hayes; 2 sisters; Heather Hayes, and Nikki Maiden; her paternal grandmother; Patricia Clayton. The family will receive friends Saturday November 12, 2016 from 5 to 7 PM at Edgefield Mercantile Funeral Home.